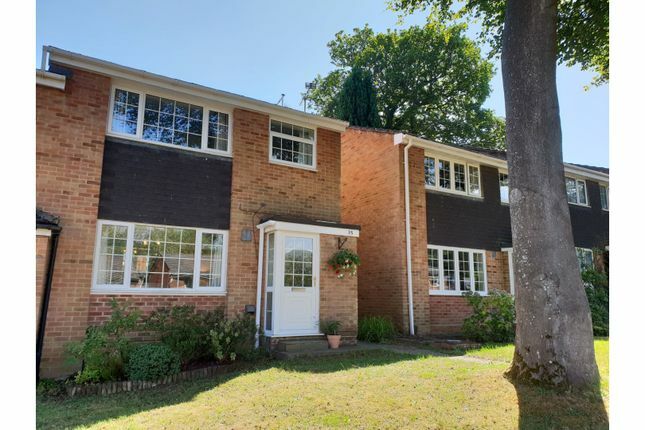 Purple Bricks are proud to present to the market this well-presented three bedroom family home situated in the always favoured location of Lordswood, close to local amenities, transport links, good schools and the General Hospital. The property boasts a modern kitchen/diner, newly fitted contemporary bathroom and is presented in excellent order throughout. The property further benefits from a garage and driveway parking, making this an ideal choice for anyone looking in the local area for a family home. An internal viewing is highly recommended to appreciate the accommodation on offer. To arrange a viewing simply visit our website and register or call us 24 hours a day 7 days a week. Opaque double glazed door to the front aspect, opaque double glazed windows to the front and side aspect, stairs rising to the first floor, built in storage cupboard, door to the lounge. Double glazed windows to the front aspect, radiator, feature gas fire with marble hearth and surround, under stairs storage cupboard, double doors to the kitchen/diner. Double glazed windows and door to the rear garden, modern range of eye level and base fitted units with block wood working surface, inset sink and drainer, integral double oven with gas hob and cooker hood above, slim-line dishwasher and fridge freezer, space for washing machine, tiled to principal areas including ceramic tiled flooring, double glazed French doors to the rear garden. Loft hatch with pull down ladder giving access to the partially boarded loft, double glazed windows to the side aspect, built in airing cupboard housing the hot water cylinder, doors to all rooms. Double glazed windows to the front aspect, radiator, built in range of wardrobes with hanging and shelf space. Double glazed windows to the rear aspect, built in range of wardrobes with hanging and shelf space, radiator. Double glazed windows to the front aspect, built in storage cupboard, radiator. Newly fitted contemporary three piece suite comprising low level WC, wash hand basin with vanity storage below and panel enclosed bath with shower above, heated towel rail, fully tiled, opaque double glazed windows to the rear aspect. Patio leads to raised decking with a South Easterly aspect, steps lead to an area mostly laid to lawn, enclosed on all sides by timber panelled fencing, rear access gate, personal door to the garage. Up and over door, power and lighting, door and window to the side aspect. Driveway to the rear leading to the garage.